“Libraries as Contested Community and Cultural Space: The Monterey Park Library,” AAPI Nexus: Asian Americans and Pacific Islanders Policy, Practice and Community, vol.5, no.1 (2007). With Clara M. Chu. “Trippin’ Over the Color Line: The Invisibility of Race in Library and Information Studies,” InterActions: UCLA Journal of Education and Information Studies, vol. 1, no. 2 (2005). In Visibility: Race and Libraries,” invited talk at the Annual Conference of the American Library Association, Chicago, IL, June 30, 2013. “Baliktad: A Diasporic Aesthetic,” paper presented at the Annual Conference of the Association of Asian American Studies, Seattle, WA, April 19, 2013. “‘Like Carrying Owls to Athens’: The Aesthetic Intimacies of Phil Sparrow,” paper presented at Queer Places, Practices & Lives: A Symposium in Honor of Samuel Steward, Ohio State University, Columbus, OH, May 18, 2012. “Pigments of ImagiNation: Tattoos, Corporeality, and the Aesthetics of Race,” paper presented at the Association of Asian American Studies Conference, Washington, D.C., April 14, 2012. “Marks of Racialization: Tattoos, Race, and the Asia-Pacific,” paper presented at the Association for Social Anthropology in Oceania Annual Meeting, Portland, OR, February 11, 2012. “American Black and Grey: Race, Criminality and Tattooing in Southern California,” paper presented at the Critical Ethnic Studies and the Future of Genocide Conference, University of California, Riverside, Riverside, CA, March 10, 2011. Professor Honma was interviewed for “Claudine del Rosario: Talking Story with Todd Honma” in the Purple Root Collective, Issue 1, fall 2013. 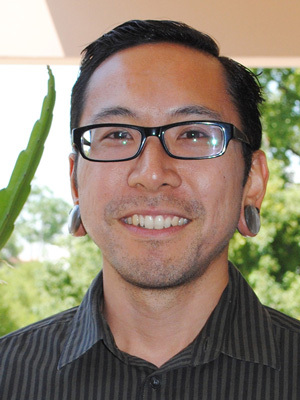 Professor Honma was quoted in “Famed tattoo artist Mark Mahoney is going strong on the Sunset Strip,” Los Angeles Times, August 27, 2013.